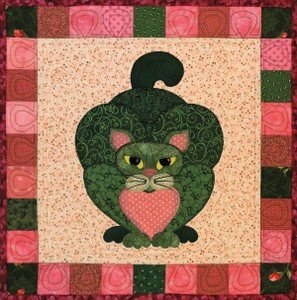 SQ14 - Garden Patch Cats - Brussels Cat Block 14 pattern designed by Helene Knotts. 18" X 18" Block. Includes a recipe for braised deconstructed sprouts. Copyright © 2007-2019 - The Patchwork Co.